Chase Elliott ahead of a pack of cars during Monster Energy NASCAR Cup Series qualifying at Auto Club Speedway. In a perfect metaphor for the extreme lengths teams will go to competitively in NASCAR, all 12 drivers in the final round of Monster Energy NASCAR Cup Series group qualifying at Auto Club Speedway sat on pit road, waiting for someone else to go because of the draft disadvantage of leading the pack. They waited so long that no one was able to make a lap, even with pole position on the line. The hilarity of the situation is hard to describe in words, with a clump of high-horsepower cars just sitting on pit road during each timed round of qualifying, not wanting to leave first. “A minute 25,” radio communications would say, as other teams did the math on how long their driver could wait before leaving pit road and still cross the line in time to make a lap. As time wound down and teams got desperate, cars began inching forward—looking almost like a swarm of nervous, first-day driver’s-ed students, all in attempts to get someone else in front of them. When no one made it to the line in time, NASCAR reverted to the results of the second of three qualifying sessions, putting Austin Dillon on pole. But that kind of absurdity likely won’t happen again, since less than two weeks after it happened, NASCAR announced on Monday that it has some shiny, new qualifying rules: Basically, if a driver doesn’t start a round they’ve qualified for, all of their times will be disallowed and they’ll start at the back of the pack. 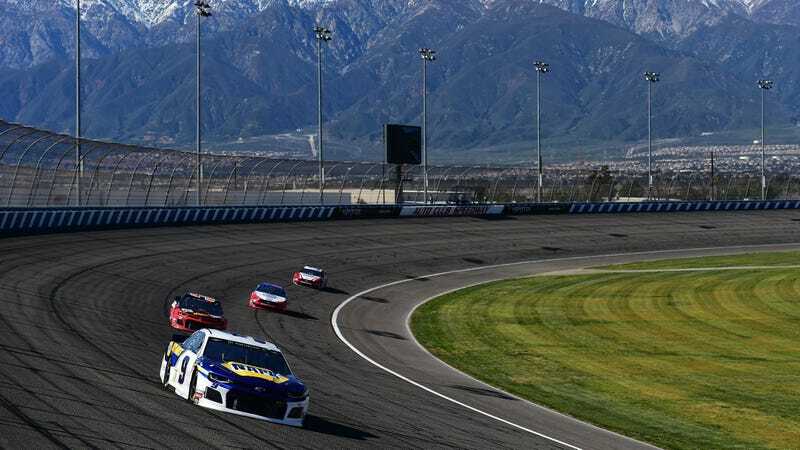 “The inherent problem (at Auto Club) was obviously everybody waiting to the end, and it being unorderly on the end of pit road with people blocking and playing all kinds of games,” NASCAR Senior Vice President of Competition Scott Miller told NASCAR.com. “So really, we want to retake control and make order out of pit road and the way that drivers leave. Starting at Texas, vehicles not immediately making a qualifying attempt will be staged in a track-specific area designated by NASCAR. Once a vehicle leaves the area, it must continue directly onto the race track — it cannot stop at the end of pit road and wait in a gamesmanship play. The current iteration of qualifying in NASCAR’s top series involves three elimination rounds at most tracks, and two at others. Most of those tracks using group qualifying in the rounds, and the final round of any qualifying session, group or not, consists of 12 cars. 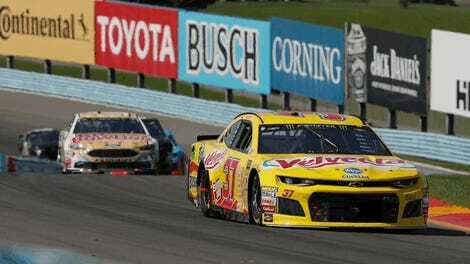 NASCAR moved to from single-car qualifying to a group format in its top series about five years ago, and it’s helped make qualifying less mundane. But with the major aerodynamic and vehicle changes in the Cup Series this year to gear cars more toward drafting, group sessions can sometimes turn into a waiting game: No one wants to go out on track first because it won’t do any favors for their lap time, while the rest of the group will piggyback off of their draft. Thus, everyone waits. But the problem with the waiting game is that there’s an expiration date on it in each round of qualifying—usually about five minutes after the clock starts, in the final one. That’s what led to the scene at Auto Club Speedway in California, and the subsequent ruling from NASCAR in attempts to prevent it from happening again. But, as with all of the creative rules maneuvering in NASCAR, just let them do it. The absurdity of it all is entertaining in itself.